Lingotrans Services Pte Ltd – is a Singapore based Professional Translation and Interpretation Company that offers comprehensive translation services as well as interpretation services i.e. language translation, language interpretation, subtitle translation, financial translation, legal translation and technical translation. Our translation services extend to literary works translation, commercial correspondence translation, advertisements translation, brochure translation, technical manuals translation, legal documents translation, tape transcripts, website localization, standard certificates translation, and e-book translation. Our professional team of interpreters, translators and typesetters will work with you on your communication strategies to transfer your ideas effectively into the desired language. 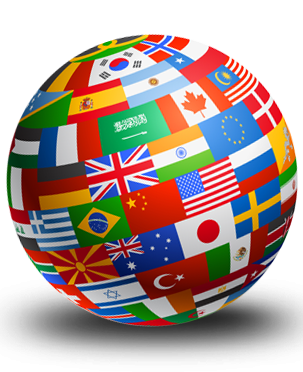 We provide fast and accurate translations in more than 25 languages. Our translation services include Arabic translation, Chinese translation, French translation, Japanese translation, Russian translation, German translation, Korean Translation, Spanish translation, Italian translation, Portuguese translation, Burmese translation, Dutch translation, Tagalog translation, Indonesian translation, Danish translation, Tamil translation, Hindi translation, Thai translation, Cambodian translation, Urdu translation, Swedish translation, Vietnamese translation and Malay translation. Thank you very much. I’m impressed with your service. I’ve already told my friends about your company and your quick response,thanks again! I just don’t know how to describe your services… They are extraordinary! I am quite happy with them! Just keep up going this way!